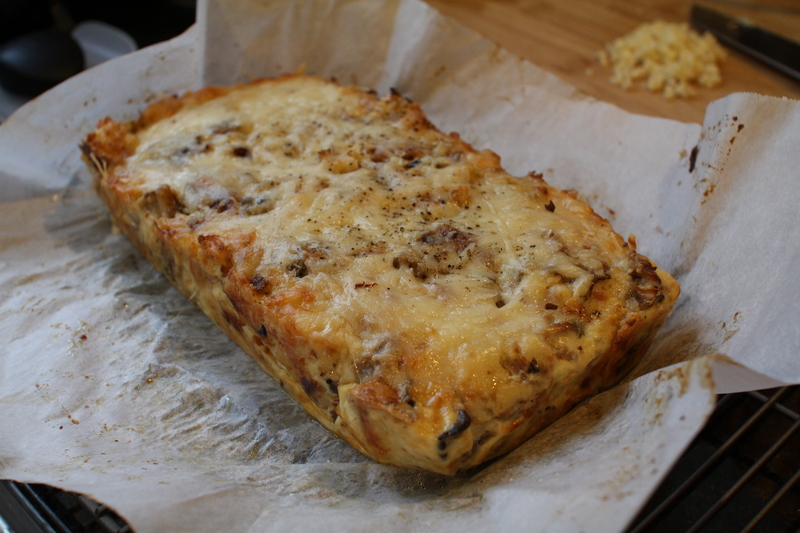 Mushroom Truffle and Cheese Brioche [recipe] – Cin Cin, Let's Eat! Ever since we switched cable company, we’ve been getting the Cooking Channel and I’ve been pretty obsessed with all the shows on there. They’re all so different from the Food Network and the hosts and the personalities are so much more interesting. My newest celebrity chef crush is Chuck Hughes, host of Chuck’s Day Off and Chuck’s Week Off. He can also be seen on the newest “The Next Iron Chef-Super Chefs”. Chef Hughes just seems very down to earth and extremely passionate about what he does, even my husband was rooting for him on TNIC. I watch an insane amount of cooking shows but very rarely do a recipe makes me salivate so much to the point where I must make it and taste it immediately. An episode of Chuck’s Day Off, titled “the Truffle Guy” did just that. I loooove all thing truffle! I know some people think that truffle is for the rich, snobby, and the pretentious…but some truffle products are surprisingly affordable since a little goes a long way. I have truffle salt, honey, and butter in my pantry and fridge and they were all under $20 each. I made these into individual muffin-shaped brioche and they were a hit at our thanksgiving feast. There were enough mixture leftover for me to make a small loaf. I did not serve with poached eggs because that seemed more like a brunch item. The loaf was great as leftover – I sliced them thin and place them as a layer of my leftover-turkey panini sandwich, I’ll post a picture of that epicness soon. So, I found a $10 jar of canned truffle in its juice at whole foods, which turned out, was a WASTE OF MONEY. Words of advice – if you can afford real fresh truffle, don’t ever buy canned ones. Canned truffle has odd texture and has absolutely no taste. After realizing this, I still used the sliced canned truffle, but I melted some truffle butter and drizzle it over the brioche prior to baking. I didn’t find any morel mushroom at the market so I just used more of the button and the oyster kind, but any kind of mushroom will work well here. Cut the brioche into 1-inch cubes. In a large bowl, whisk together the milk and eggs. Season with salt and pepper. Add the cubed brioche, truffle peelings, and chopped thyme to the bowl. Cover with plastic wrap and put in the refrigerator for 4 hours or overnight. 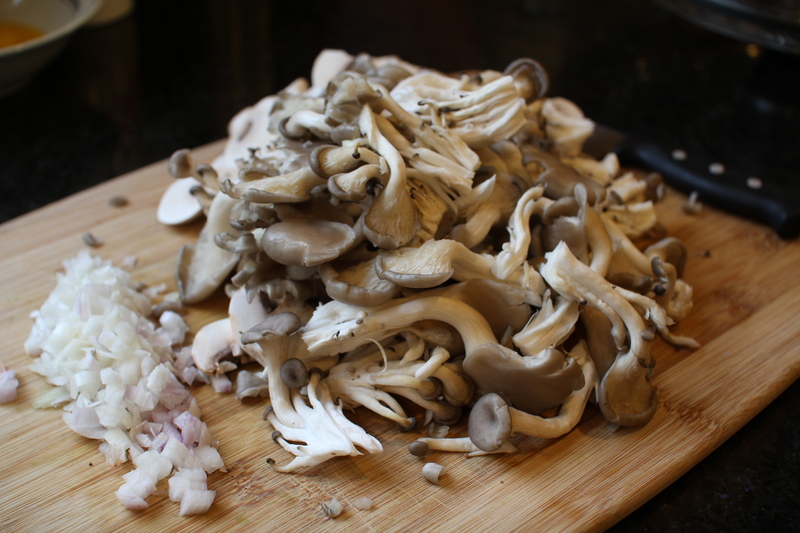 In a skillet over medium-high heat, saute the morels, button, and oyster mushrooms with the shallots for 2 minutes. Season with salt and pepper. 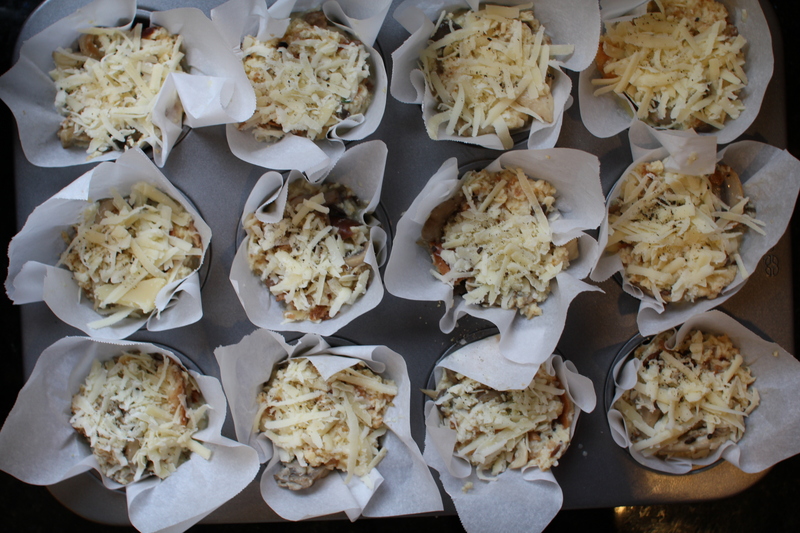 Add 1/2 the Gruyere cheese to the brioche mixture, then add the mushroom- shallot mixture to brioche and cheese mixture. Preheat the oven to 350 degrees F. Pour the bread pudding mixture in an oven-proof baking dish. Add the remaining cheese. Season with salt and pepper. Bake for 45 minutes or until puffed and golden brown. 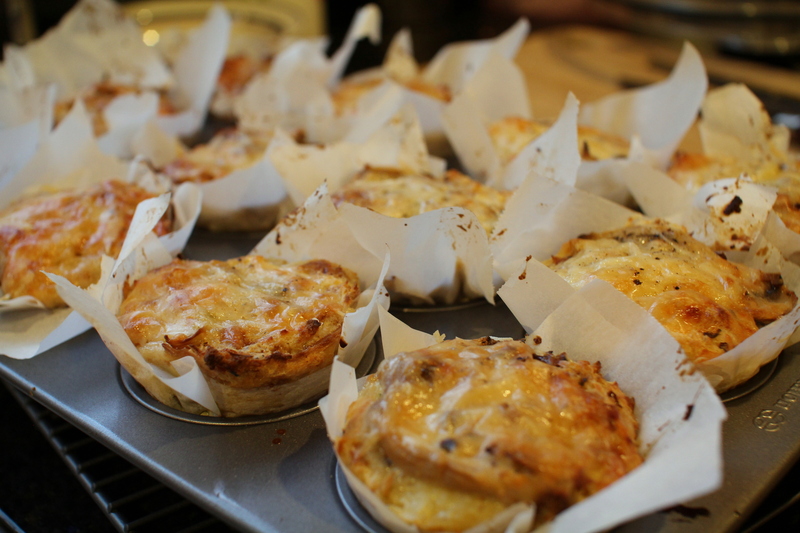 I cut out square-shaped parchment paper and place them in a muffin pan. Individual brioche wrapped in paper looked so rustic and also saved me the trouble from slicing them.